More from the Toronto 9/11 Hearings: This week’s installment of the Global Research New Hour marks the fourth of a five part series highlighting research into the World Trade Center attacks and the need for a renewed investigation. Two of the authors of these peer-reviewed papers, Dr. Niels Harrit and Professor Peter Dale Scott, spoke at the Toronto Hearings, as did engineer Jonathan Cole, who through simple backyard experiments was able to easily discredit the talking points of supposed experts on the effects of thermite on steel. The arguments countering the official story of the September 11 can no longer be fairly dismissed or marginalized as the ‘conspiratorial musings’ of undisciplined minds and paranoid souls. A new and independent investigation into the event that has triggered the deadly, destructive and expensive “War on Terrorism” is fully warranted. Jonathan Cole is a professional engineer licensed in New Hampshire, Connecticut and Florida with 28 years of experience. For more than ten years he has been the head of a mid-size engineering firm with some 25 employees. And in addition to designing large scale engineering projects, he has performed services as an expert witness in his field. 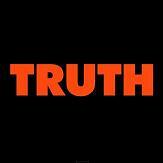 He serves as director of the board of Architects and Engineers for 9/11 Truth. Cole’s presentation focuses on the official 9/11 account, and the scientific method. Cynthia McKinney served as a Democratic member of the US Congress from 1992 to 2002, and again from 2004 to 2006. She ran as a US Presidential candidate on the Green Party ticket in 2008. McKinney has been active with the civil rights and anti-war movements. As well, she has been the only US Elected representative to openly question the role of the US Government in deliberately perpetrating the September 11 attacks. In her talk, McKinney contextualizes 9/11 from a Washington insider’s perspective. Niels Harrit is an Associate Professor of Chemistry from the University of Copenhagen and author of more than 60 of the most prominent scientific journals in his field. Professor Harrit spoke to the Toronto Hearings on the subject of thermitic material in the world trade center dust, the subject of his 2009 peer-reviewed article. Peter Dale Scott held varying positions in the Canadian diplomatic service before establishing a career as an English professor at University of California – Berkeley until he retired from that position in 1994. He is a poet of high stature and a public intellectual known for his anti-war stances and his criticism of US foreign policy. He has authored numerous books which provide a conceptual framework for the deep structures underlying such activities as political assassinations, state-sponsored drug trafficking and state terrorism. 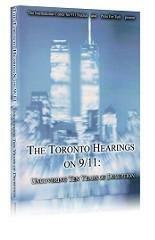 The topic of Professor Scott’s talk at the Toronto Hearings was the history of Deep State activities with special reference to 9/11. Efforts are underway to bring greater awareness of the flaws in the official 9/11 story to a broader public audience this September through a grassroots advertising campaign. For more information, visit RETHINK911.org.